BATE Borisov are Belarus’ football factory, which is a fitting description for a club that is owned by the Borisov Automobile and Tractor Electronics factory. The club was founded in 1996—although this same factory had also owned an earlier team between 1973 and 1984. The earlier team had competed in the Belarusian championship, and had been disbanded in 1984 when the factory was financially impacted by the economic problems of the Soviet Union. The new team has, since its recreation, won the Belarusian championship eleven times. Since 2006 BATE has won every championship, and halfway through the 2015 Vysheyshaya Liga season (Belarus’ season runs from Spring to Fall) BATE are top of the table three points ahead of Dinamo Minsk, which was Belarus’ most prominent opponent in the old Soviet Vysshaia Liga. The fact that BATE, from the tiny town of Borisov (population 180,000) rather than Dinamo, from Belarus’ capital Minsk, has become the most successful club in the country, is a testament to the astute management skills of its club officials. In 2007, for example, the club selected the then relatively inexperienced coach Viktor Goncharenko as the new head coach of the club. At the time, Goncharenko was 27, and, although he had played for BATE, his height at 167 cm, as well as injuries he had sustained, meant that he had to end his career at the young age of 25. The BATE ownership group gave Goncharenko not only the necessary resources required to develop a distinct playing style for the club, but also a hands off approach in the day to day management decisions which meant that the club was able to thrive in an environment where the talented coach was able to show what he could accomplish unimpeded by outside interference. Owners who secure financial resources for the management without influencing decisions of the coaching staff are fairly uncommon in the testosterone driven environment of post-Soviet oligarchy that own the majority of clubs in the post-Soviet space. This approach paid off, for in 2011-12 Goncharenko, then just 31 years old, was able to guide lowly BATE Borisov from Belarus through a successful Champions League qualification campaign. The following season, Goncharenko oversaw one of the biggest upsets in Champions League history when the club beat the eventual champion Bayern Munich in Minsk 3-1. In 2013 at the age of 36, Goncharenko felt that it was time for his next career move. Coaching an ambitious club in the Russian Premier League like Kuban Krasnodar seemed to be the perfect choice for the next step in his career. 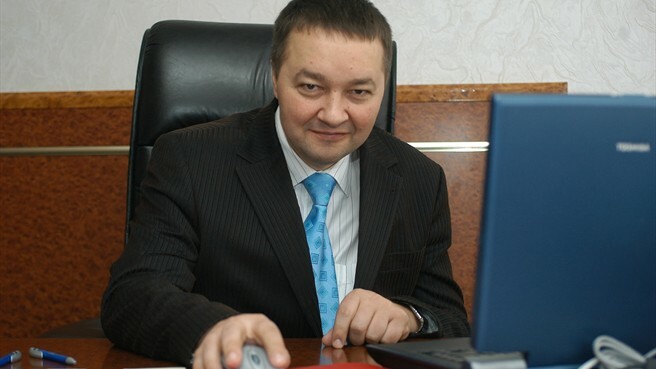 The club then promoted Goncharenko’s long time assistant Alyaksandr Yermakovich as the new head coach in October 2013. Goncharenko’s Champions League success meant that the club was able to invest in a new stadium in Borisov. In 2014 the club opened their new stadium, the Borisov Arena, which with 13,126 seats, and at a cost of €40 million is a milestone in the history of the club. Previously BATE had to play all its home matches in the Dinamo Arena in Minsk because the old BATE stadium did not meet UEFA standards. 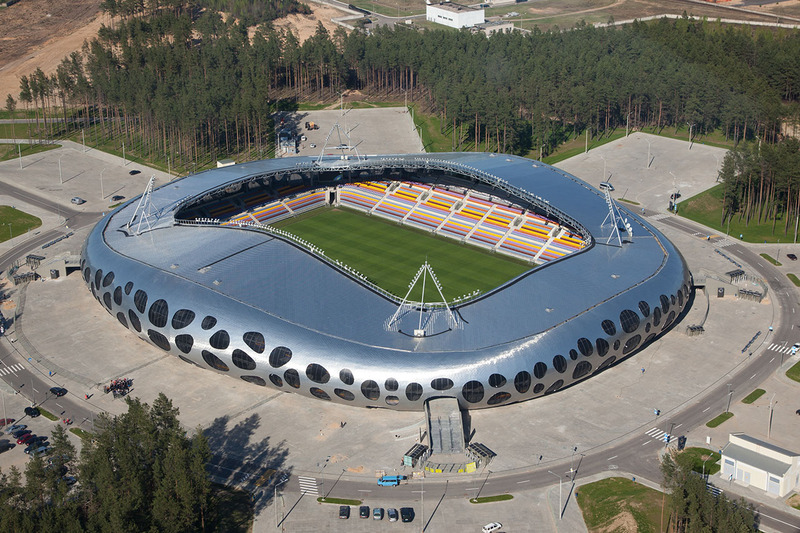 With the new stadium, BATE was finally able to play all its UEFA Champions League matches in Borisov. Despite finishing last in the 2014-15 UEFA Champions League group stage BATE made headlines once again when Yermakovich’s men were able to beat the Spanish club Athletic Bilbao at the Borisov Arena 2-1—an outstanding result for a club which has a combined transfer value of €17.8 million compared to the combined transfer value of Athletic Bilbao at €112.2 million. BATE’s relative success also has meant that the club has to contend with the fact that its most talented players will move on to bigger teams in Russia, Ukraine, and Western Europe. Before this season kicked off, for example, BATE lost Egor Filipenko to FC Malaga (Spain), Sergey Krivets to FC Metz (France), and Anri Khagush to Arsenal Tula (Russia). Because of BATE’s commitment to play young players in order to capitalize on them, the club has become a prime destination for young talented players not only from Belarus, but also from other small post-Soviet Republics such as the Baltic States—players who hope to be spotted by one of the big foreign clubs. The most recent example of this influx of talented hopefuls is the promising 24-year-old Latvian central defender Kaspars Dubra, who was brought in on a free transfer from the Latvian club FK Ventspils. 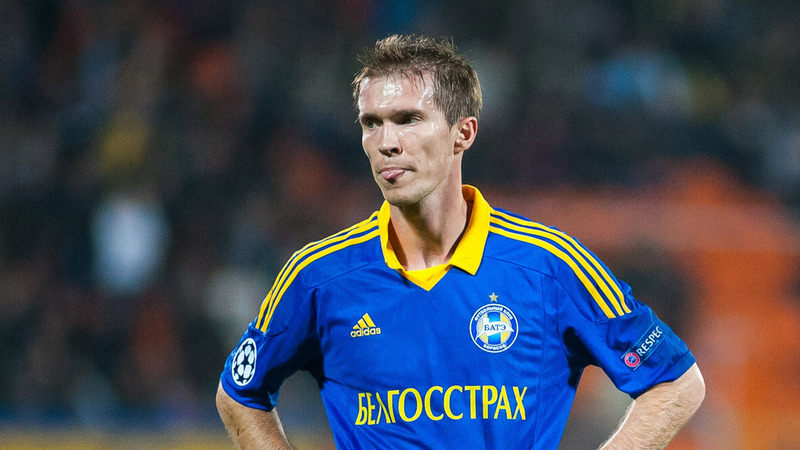 BATE’s most prominent player at the present time is Aleksandr Hleb, who returned to the club for a third time on August 7 after completing a free transfer from the Turkish club Gençlerbirliği Spor Kulübü. The now 34-year-old, who has scored seven goals in 69 internationals, had previous spells with BATE in the 1999-00 and 2012-13 seasons. The midfielder has had a prolific career: he moved to Germany at age 19 in 2000 to play for VfB Stuttgart and his subsequent playing career included stints at Arsenal in London, FC Barcelona, and VfL Wolfsburg. Now Hleb is back to contribute his experience and help the club secure another UEFA Champions League spot when they face off against Serbia’s Partizan Belgrade later this week. What is perhaps most important is the fact that Hleb will try to help the club to fight off a title challenge by Dinamo Minsk (owned by the Belarusian oligarch Yury Chyzh) which are currently just three points behind BATE in the title race. Despite the heavy funding of BATE’s competitors both at home and abroad, BATE are committed to sustainability. As Kapski explains: “We will not go crazy. We have plans to develop the club’s infrastructure. Certainly, we may go for some transfers that would be considered big for Belarus, but we will not bring stars here that would look down on our young team.” This attitude explains why BATE has been able to become Belarus’ most successful team and also why they have been able to successfully compete in the UEFA Champions League with clubs that often have ten times their budget. I don’t suppose there is a website where I can buy shirts from Belarus in the U.S is there? From Futbolgrad.com? Sadly not! Have you tried the official home page of BATE Borisov? Very interesting story about one of the big unknowns in european football. It must be similar to Rosenborg Trondheim of Norway who were also superior to the other clubs in Norway with all the money from the Champions League.